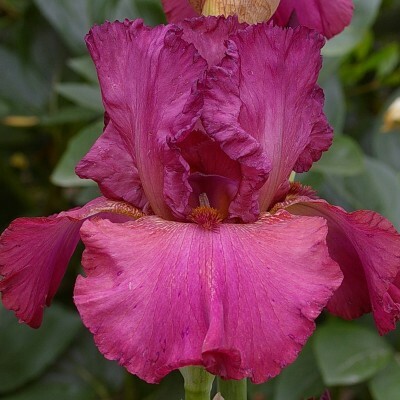 Excellent variety with buff standards infused violet-lavender on their midribs and velvety mahogany-red falls. Golden yellow beards. Excellent stems, increases very fast. 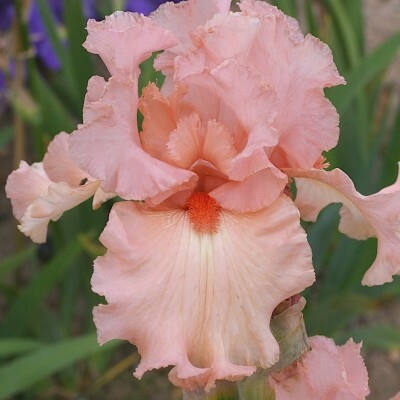 "Succes Fou" is a child of "Buisson de Roses", one of our best pink irises to date. The colour is a deep flamingo pink and the beards are coral pink. Lighter at the end of its flowering, it remains very attractive. 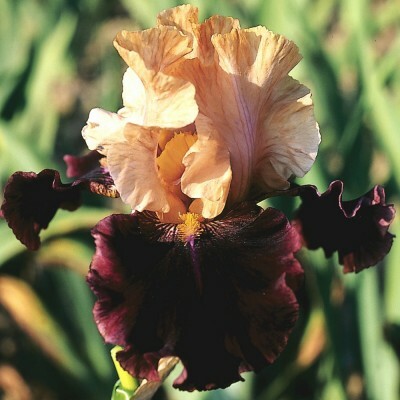 Large and elegant flowers, a good grower. 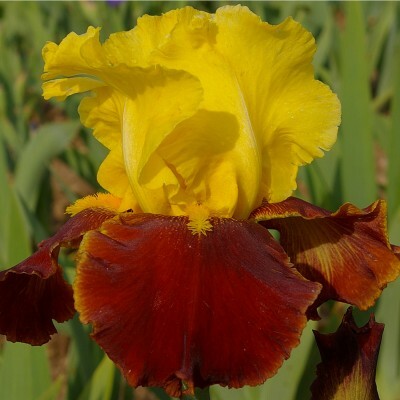 Velvety blue-black amoena with golden yellow beard ringed by a small white throat. Under certain light, the falls seem almost black. Well-spaced branching leaves room for each flower to express its full beauty. An invaluable step towards a pure black and white hybrid.